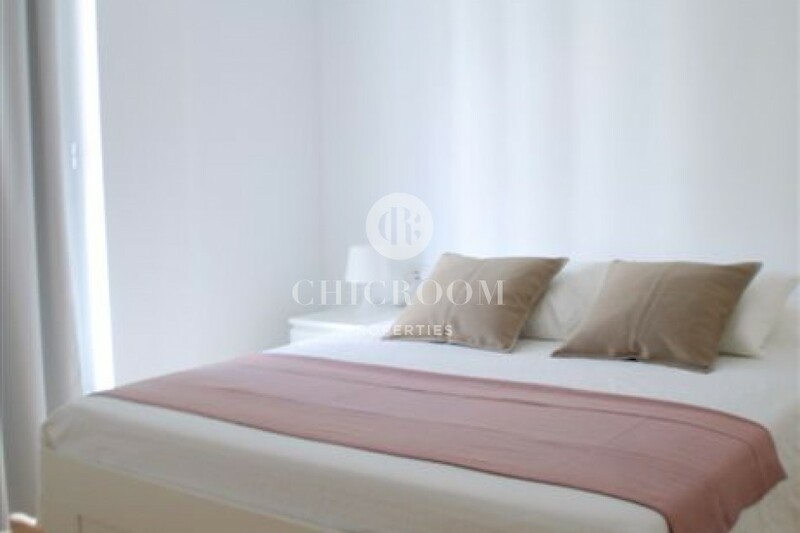 ChicRoom Properties is delighted to offer you this amazing 1 bedroom apartment for rent in Poble Nou, a peaceful neighbourhood in rehabilitation and situated on the second floor of a modern building with an aluminium facade right by the seaside and the beach and at a short distance to the centre of Barcelona. 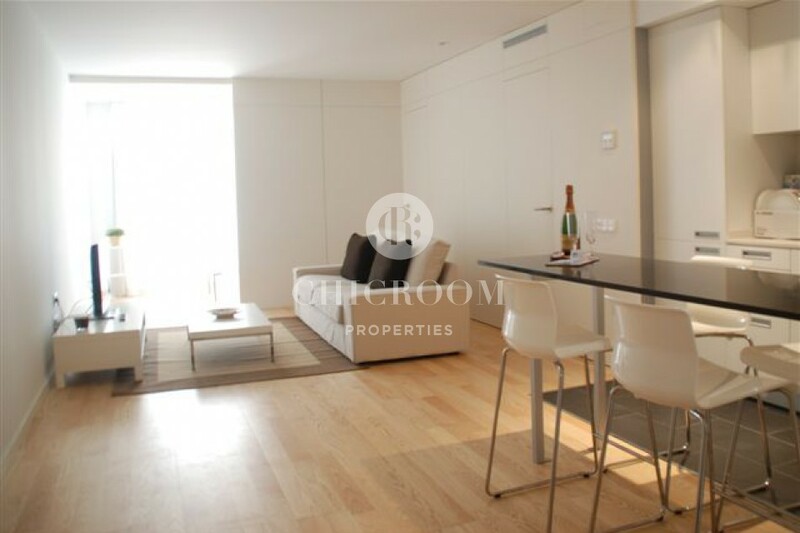 You can decide to rent the 54-m2 property furnished or unfurnished. You will find a large living room as soon as you come in; it could also be partly used for the dining room. Next to it, there is small space that could be used as an office or as a small guest room. In one corner, there is an open-plan kitchen that is fully equipped with excellent top-quality household appliances. This room gets a lot of natural light thanks to wide double-glazed windows with wonderful views over the Mediterranean Sea and the beach. 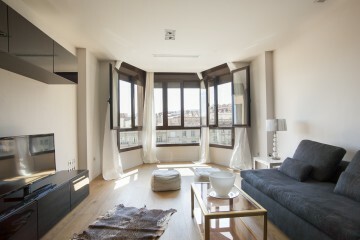 The property has also one large double bedroom with built-in wardrobes with a lot of storage space for your belongings. The only complete bathroom is well equipped with a bathtub and shower, a WC and a sink made of porcelain. 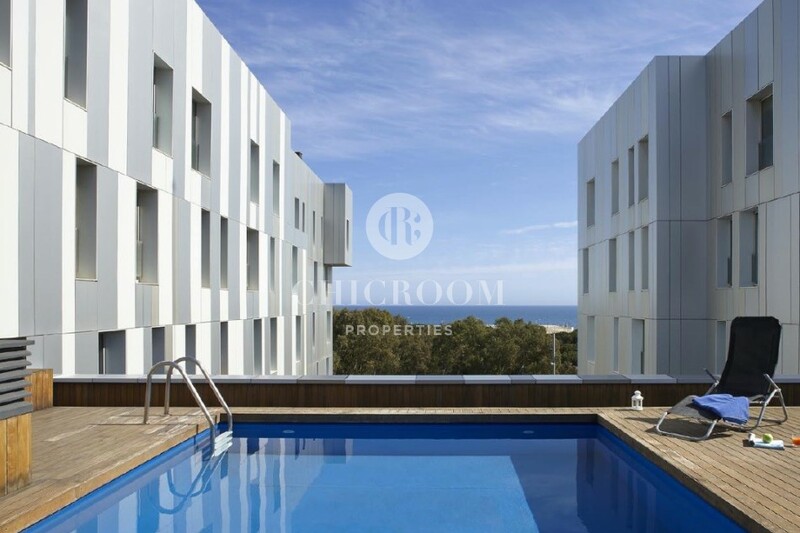 The property has several very attractive features such as a communal swimming pool on the building’s roof with a solarium and a terrace, gardens and showers. The floor is paved with beautiful natural ash wood floors, except in the kitchen and the bathrooms which have glazed tiles. The flat also comes with a storage room. There is also a security system, a concierge service with video surveillance. A parking space is available for an extra 121€/ month. 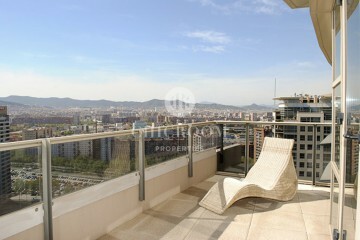 - For medium term (minimum 32 days): 2,100€/month all included (furnished, water and electricity, discretional cleaning). VAT 10€ not included. Note: price for medium term rentals might be increased in case of rental limited to high season months only. Please ask for further information if that is your case. 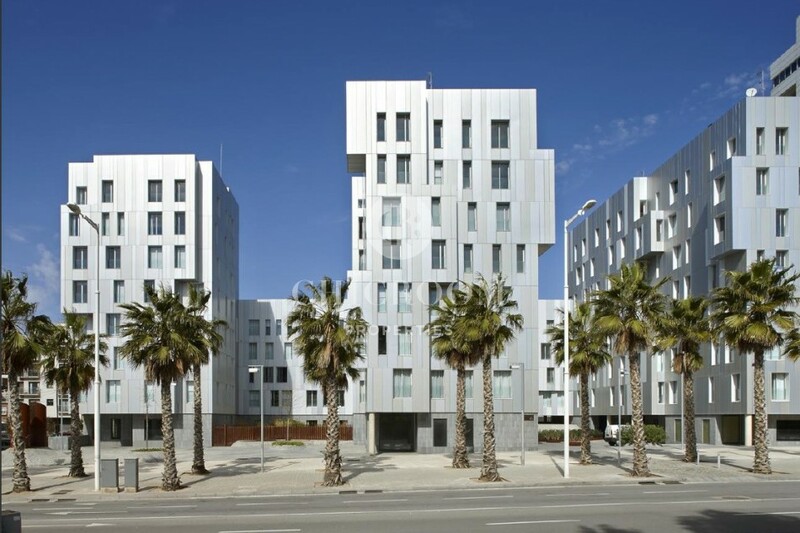 The former industrial neighbourhood of Poblenou is a place in transformation. 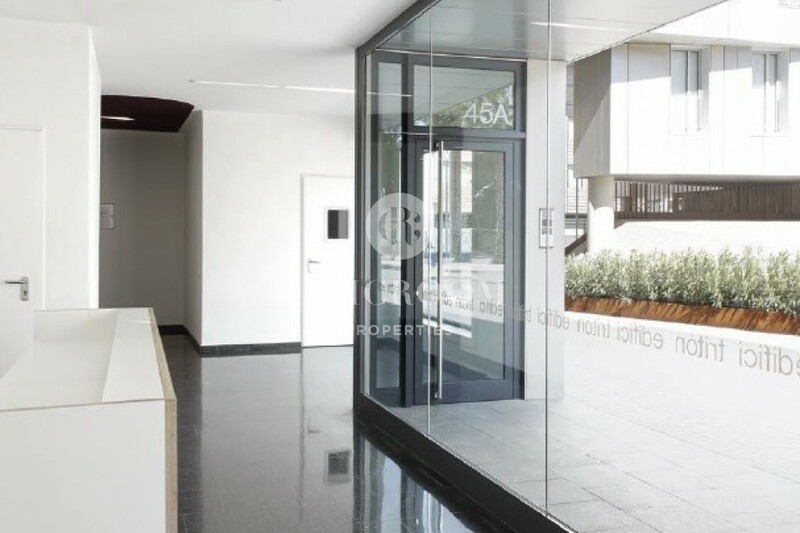 It mixes some high modern and fancy flat complexes with more humble accommodations all surrounded by an artistic and trendy mood with artists’ workshops, and in vogue bars and restaurants. 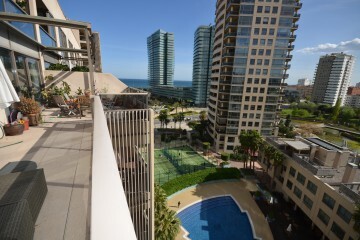 The property is located right in front of the beach 200 m away from it and by Mar Bella Park. 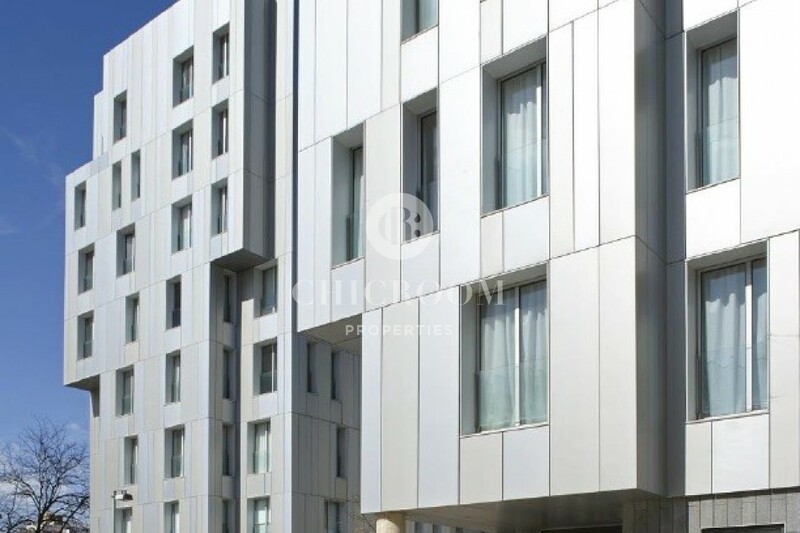 It is also situated near metro stations and various bus lines drive through the area. 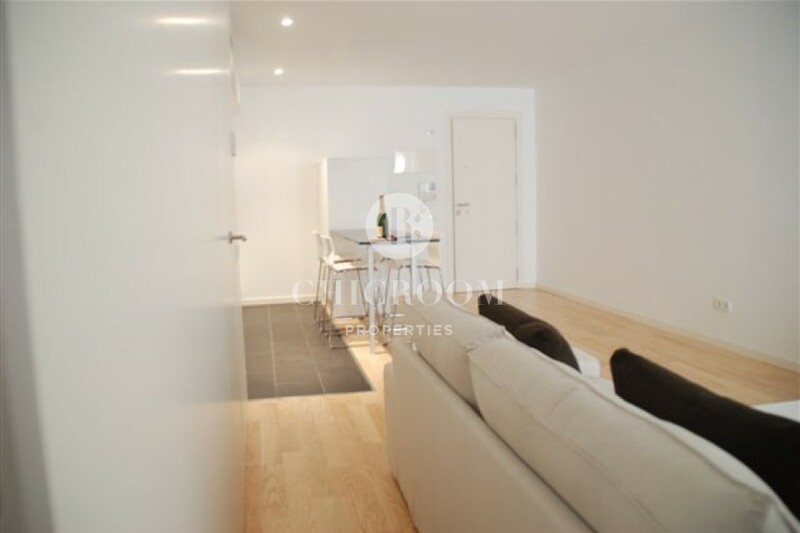 Does this 1 bedroom apartment for rent in Poble Nou look like what you are looking for? If so, contact us now for more information and we could organise a visit as soon as you want.